This is a square Gerber and Bear porcelain sign. This particular Gerber and Bear sign is black and white with red and white text. 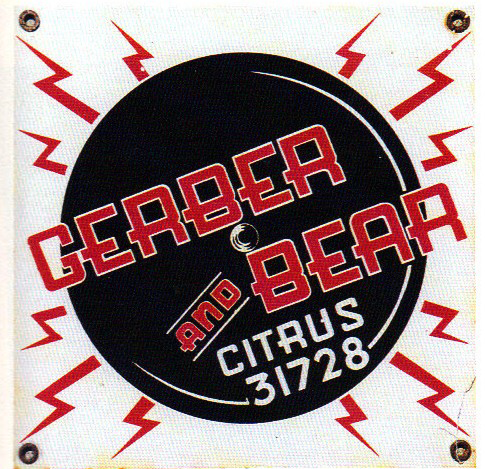 It reads, “Gerber and Bear, Citrus 31728” and features red lightning bolts around a black circle in the center.